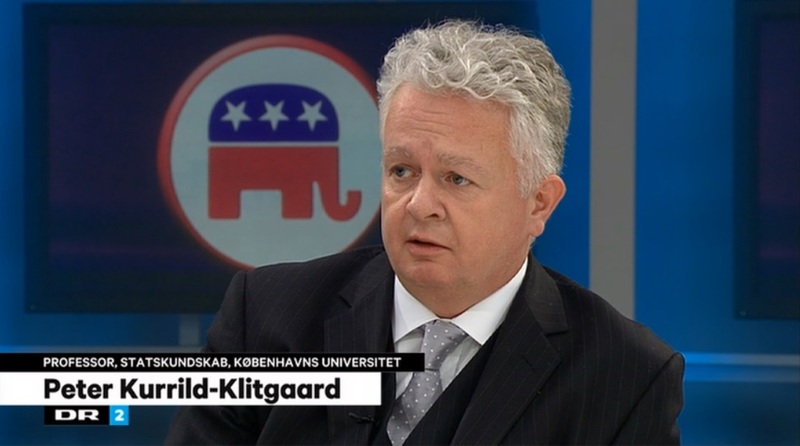 Peter Kurrild-Klitgaard: Did Libertarian candidate Gary Johnson hurt Trump or Clinton the most? Did Libertarian candidate Gary Johnson hurt Trump or Clinton the most? It is frequently assumed--across the ideological spectrum--that the presence of the US Libertarian Party in US elections primarily hurts the Republican Party's candidates. In a new, little note, published as a working paper, I challenge this view with a simple empirical analysis of 196 published, non-partisan 3- or 4-way polls from the 2016 US Presidential Election (from March 23rd to October 26th 2016). 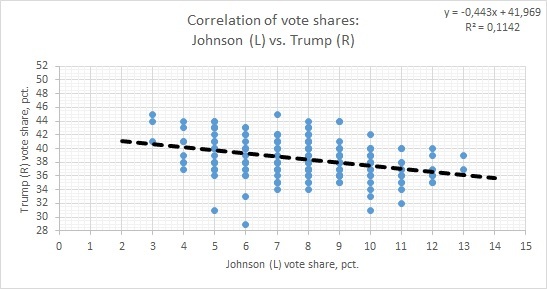 If the assumption of Johnson costing Trump votes was true, we should see a negative relationship between Johnson's vote shares and Donald Trump's (so that when Johnson does better in a poll, Trump does worse). 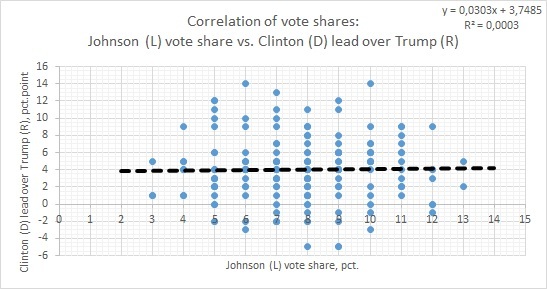 However, we should also then expect a positive relationship between Johnson's vote shares and Hillary Clinton's lead against Trump (so what when Johnson does better in a poll, Clinton leads more). 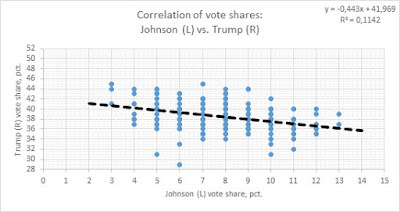 Looking at the data, I do find support for the former hypothesis--thus suggesting that, yes, Johnson does take votes from Trump, although the association is relatively weak. That is really not surprising, as any "third" candidate is likely to take at least some votes from any of the two major party candidates. 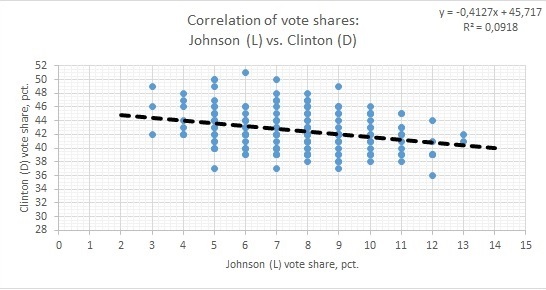 And indeed there is an equally visible negative relationship between Johnson's vote shares and Clinton's. In other words, while Johnson does seem to cost Trump votes, he does the same for Clinton. Indeed, loking at the graphs and the relevant correlation coefficients the possible "impact" prima facie seems of comparable size. However, and more importantly, I do not find support for the latter of the hypotheses above. 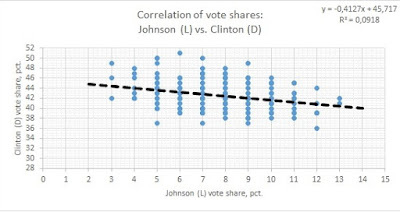 There is *no* visible positive association between Johnson's support levels and Clinton's lead. In other words: Johnson's presence in the race does not hurt Trump more than it hurts Clinton. In fact, there are indications (when controlling for time, etc.) 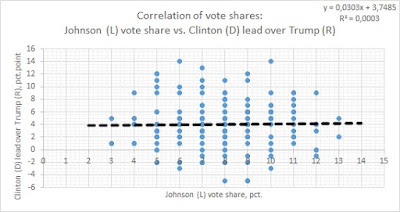 that Johnson's level of support is negatively related to Clinton's lead--thus suggesting that he primarily has taken votes from her and thus indirectly benefited Trump.